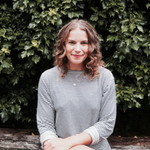 Alina Petre is a registered dietitian specialising in sport nutrition and plant-based diets. She holds a bachelor’s degree in dietetics and human nutrition as well as a master’s degree and an International Olympic Commitee diploma in sport nutrition. As part of her private practice, Alina advises professional athletes and busy individuals on how to optimise work and life performance through proper nutrition. She’s especially interested in the role of plant-based nutrition on performance and overall health. She also writes for media, develops nutrition-based vitality programmes for companies and their employees and speaks at different events on various nutrition-related topics. Check out her articles at alinanutrition.com.